US astronaut Christina Koch, a member of the main expedition crew at the International Space Station (ISS), is talking to her relatives through safety glass before the launch of the Sojuz MS-12 spacecraft on the Russian hired Baikonur Space Center in Kazakhstan on 14th, 2019. 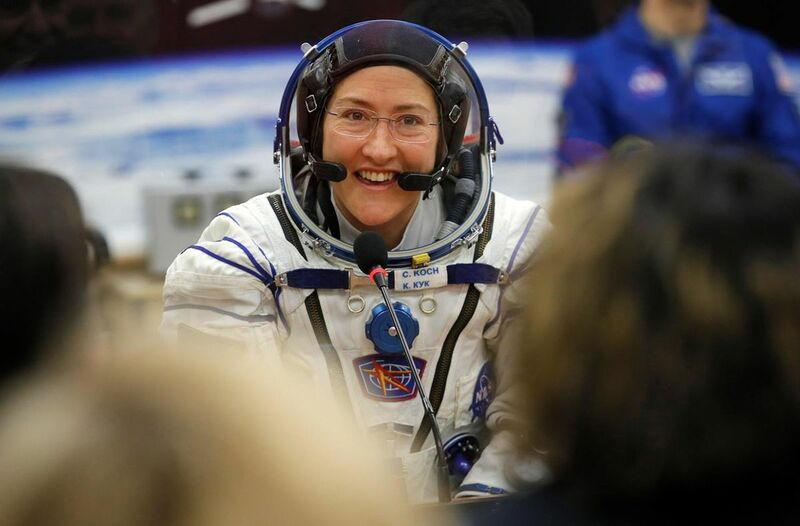 NASA's astronaut will spend nearly a year at the International Space Station, setting a record for women. The Astronaut Station Christina Koch will remain on board for about 11 months, until February. It's approaching, but it does not give up a pretty bad record of Scott Kelli in the US for 340 days. She knew before she started her flight last month until 2020. She says it's great. Another NASA astronaut will also have extended stay. Andrev Morgan will launch the space station this summer for a nine-month mission – also significantly longer than the usual six months. NASA has published expanded tasks this week. Koch will break a 288-day record for the longest flight in the world by women. The retired astronaut Peggi Vhitson is the current record holder.